Liz goes over the state of influencer marketing in 2019 and speculates on where this type of marketing might be headed. Sandro [00:00:06] Welcome back to Liz and Sandro’s Marketing Podcast. We are the podcast that looks to help your small business grow through education and ideas on all things digital marketing. Today Liz is going to discuss something I’m excited about, the state of influencer marketing in 2019. Liz [00:00:24] That’s right. So let’s first define what “influencer marketing” is. This is a type of marketing that leverages influential people and the credibility they’ve built, which is typically a following on social media. So yeah, it leverages that credibility to help sell products and services. This is different from other types of campaigns that might push a message out based on demographics or psychographics. It really involves a partnership with the influencer who will then communicate your marketing message. Liz [00:00:53] Before we get into where we are at with influencer marketing in 2019, I think it’s really important to note that this isn’t new. This isn’t a new concept with social media. I mean, yes, social media has probably taken it to a whole new level but it’s been around for decades. You know, celebrities have been pushing products and services for years and years and it actually reminded me of the cigarette campaign back in the 1920s. I think it was Edward Bernays and the American Tobacco Company or something like that. Liz [00:01:44] Essentially what it was, was women did not smoke cigarettes in public. And a company, you know a tobacco company wanted to change that. So Edward Bernays had this idea of hiring a bunch of women to all at the same time at a parade in New York City light up cigarettes and start smoking them. And that really took off and next thing you know women were purchasing cigarettes. I think the stat is like, women went from like 5 percent of sales to 30-some percent over the course of several decades. So yeah, again the concept of influencing through influencers is not, it’s not a new concept but I definitely think it has expanded with social media. Liz [00:02:10] So back to 2019. Instagram is by far the biggest platform for influencer marketing. I looked at two studies when I was researching this episode and we will include both of those in the show notes. But both of these studies cite Instagram as the top platform followed by Facebook and YouTube. Interesting to note that Snapchat and Twitter were the least likely platforms cited to be used for influencer marketing. So it kind of, kind of shows where the state of those two channels are. Liz [00:02:44] Now some industries are very well suited for influencer marketing. I think what you’ll see most often is fashion and accessories. Some entertainment, beauty and health care items, food and beverage. Some travel as well. Those are all typical products or services that I think you are very likely to see involved in influencer marketing campaigns. Generally speaking, I think the state of influencer marketing is alive and well. It’s very robust. I know a lot of brands are using it. I personally as I’m perusing YouTube and Instagram, I mean I see it constantly. It’s, it’s very evident to me. Liz [00:03:24] A couple other just general things I will note. When asked how many influencers brands are working with, again a lot of that’s going to depend on your budget and who you identify as a key influencer. But most were working with between 1 and 25 influencers. Only a handful might have been working with, with more than that. It’s also interesting to note that in terms of the management of these campaigns most of them are using a turnkey provider. So they’re going to a service, to a platform to help actually execute these campaigns. Liz [00:03:44] Some brands are managing this in-house. Others are turning to an agency. Most are using some kind of managed service to help facilitate this because there are a lot of moving parts to these types of campaigns. Liz [00:04:14] Now one of the things I thought was interesting, engagement was named as the top measure of success, more so than product sales. Which to me is a little interesting. And I should also point out that measuring ROI was one of the top challenges that brands and agencies who are engaged in this type of marketing. Liz [00:04:44] But I’m also kind of sitting here scratching my head a little bit because you know a lot of what I see is, is link driven, it’s coupon code driven. I’ve got to think that, that it should be somewhat easy to track. I guess if it’s a service as opposed to a product that might be a little bit more difficult. At any rate marketing managers are measuring engagement as that top marker of success, followed by clicks, impressions, conversions. And yeah product sales is actually kind of way down there, which I think is interesting. Sandro [00:05:10] I guess if you’re selling Fiji water there’s no code, or… I guess you could send them to an Amazon page maybe. Liz [00:05:39] Yeah. Yeah. Good point. Now in the reports I read it was interesting because there seems to be a lot of vying for who owns this type of campaign. Much like social media was in the early days you know, there was a lot of debate of you know, does the marketing team own social media or does the PR team? And we’re seeing a lot of that same thing with influencer marketing too. I think most brands are putting it under the marketing bucket. But when we get to some of my arguments in a couple minutes I would say you should definitely have your PR team involved. Now in terms of top challenges, interesting set of challenges. Some things that I think were pretty obvious and ones that, some things that I think again are completely missing. Liz [00:06:30] So the top challenge that was cited was running influencer marketing programs that leverage multiple types of influencers. So probably having a variety of influencers. You know, maybe if you’re, I’m making this up, if you’re Patagonia you sell men’s and women’s clothing. You’ve got to find men and women, male and female influencers that are going to appeal to your market which is a rather large market. Some other challenges include integrating influencer content with e-commerce to drive product sales. Shifting your mindset from kind of one-off tactical campaigns to an always-on influencer strategy. So yeah, there are definitely some challenges to influencer marketing. Like I said, a lot of moving pieces that you need to think through. It definitely takes a lot of very coordinated effort. Liz [00:07:22] So yes, these are all great challenges but again there’s a couple of things that I feel like are potentially missing from this list. We’ve seen two very intriguing documentaries about the Fyre Festival where consumers were duped into thinking they were going to something that they really weren’t. And then also we’ve seen the, I guess, rise and fall of some influencers. And it can happen very quickly. One wrong comment. One slip up from an influencer. And if your brand is associated with that influencer you know, where does that leave you? You know, we’ve seen again we’ve seen influencers rise quickly and then fall quickly and brands are immediately cutting ties with influencers. Liz [00:07:44] You know, you’ve got to think through that and that’s why I say you probably want to keep your PR team pretty well involved in something like that. Because I’m going to think that your PR team is probably well equipped to do some crisis management because you have to move quickly. A lot of these influencers are, they’re just individuals who happen to have built a great following. They don’t really know a lot about building a brand, maintaining that brand. Again, they might say something off the cuff or something stupid that they said in the moment not realizing how much it is going to damage their credibility. So I think that’s something to think about. Liz [00:08:44] And jumping back quickly to the whole Fyre Festival debacle. I really do think consumers are waking up to the fact that what they see in their Instagram feed is is just being fed to them. I think it was in 2017 a bunch of influencers were issued warnings from the FTC because what they were doing was technically advertising but they weren’t disclosing that. And I am seeing more and more of that. I’m seeing the #advertisement or #ad or “Promoted Post.” I’m seeing that being disclosed more and more, which I think is really great. Liz [00:09:44] Consumers are becoming more open to the inner workings of how this type of marketing works. It will be interesting to see if this type of marketing continues to grow. Or if we’ve reached a plateau with this type of influencer marketing. Liz [00:09:54] Going back to my cigarette example from the 1920s, I don’t think this is ever going away it’s just a matter of what platform is the hot platform right now? How is it being used? Are consumers aware of it? Are they OK with it? And are they turning a blind eye? Or are they just so annoyed by seeing all of these ads, you know ad after ad after ad in their feed that they’re like yeah, you know I’m done! I’m done supporting and buying whatever so-and-so is pushing in her feed today. So it will be interesting to see how this evolves. Sandro [00:10:10] Yeah sometimes I wonder is Kylie really using that toilet cleaner brand. I’m not sure. Liz [00:10:18] The other thing I want to throw out for consideration is, we know that Instagram is the top influencer platform right now. Facebook is second. Facebook is falling out of favor with a lot of consumers. So what I’m, what I’m debating in my head is how, how much longer is Instagram going to be the top dog. How you know, when is another platform going to come along and steal its thunder. Or when is, we know that Facebook is cracking down on Facebook. 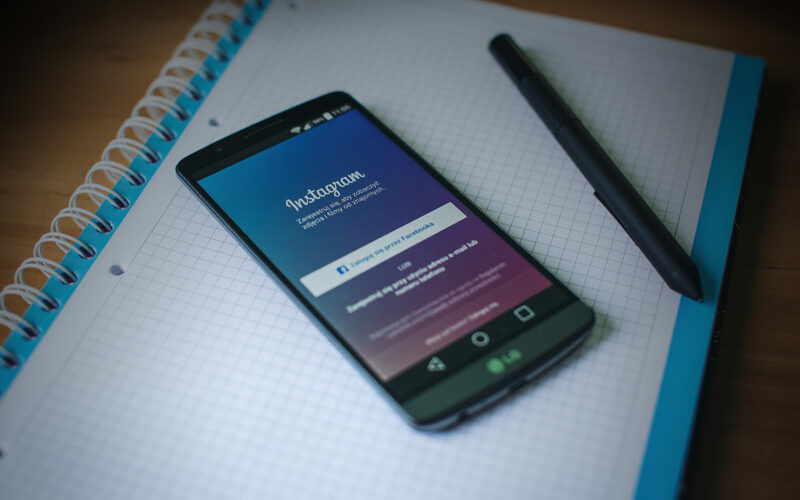 At some point are they going to start to have…at some point, are they going to also be cracking down on Instagram and how ads are being delivered and utilized on that platform. It’ll just be interesting to see how long Instagram remains the top channel. Sandro [00:11:02] I think the difference these days is before where you would see a football player promoting a new tire on TV. That would be an advertisement. But like you said in the 1918…? Liz [00:11:17] It was 1929. Sandro [00:11:18] Like you said, in the 1929 stunt people didn’t really know that was an advertisement or that was marketing. Liz [00:11:23] They had no idea. Sandro [00:11:24] Right. They saw a bunch of women smoking. And that’s what happened on Instagram and YouTube. You see suddenly some product placements, some clever product placements. So I’m glad the FTC is cracking down on this. I think influencers are starting to get the message that they need to point to the fact that they’re being paid to promote something. Liz [00:11:50] Now going back to the Fyre Festival. I know a bunch of models Gigi Hadid, Kendall Jenner, they promoted that video because they were in the video. Did they disclose that that was an ad and that they were compensated for that? Liz [00:12:05] I’ll have to go back and look. I know that attorneys reached out to Kendall Jenner and her team about it. But I’m sure some of that is being litigated right now. She was paid something like two hundred fifty thousand dollars to post that. Liz [00:12:25] I think the orange square then, didn’t it link to the video? Sandro [00:12:29] Oh I think you’re right. Liz [00:12:30] I think that’s what it was. I’d have to go back and watch the documentary but yeah. Liz [00:12:52] To earn a buck. Sandro [00:12:53] Exactly, promoting something. And thank you for listening. If you like what you hear, we’d love a review. You’ll find us wherever you find your favorite podcast and also on Twitter, Facebook and Instagram. Liz is an influencer there. Liz [00:13:06] Well, I wouldn’t say that. Sandro [00:13:09] You can drop us a line any time. Email address is in the show notes. Thanks again for joining us, we’ll see you next time.